I recently had the opportunity to participate in a Shutterfly gift event where I was tasked with creating personalized and practical gift ideas for the holidays. This was an easy one for me because I have had a few personalized plate ideas I have been wanting to make for awhile. 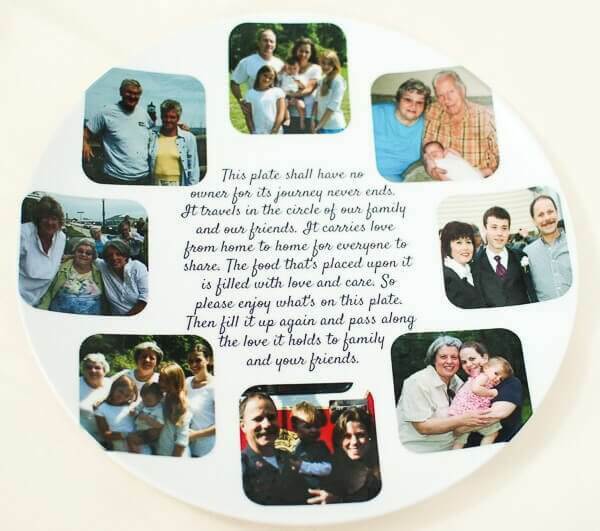 My first plate is perfect for the holidays or any family event. You may have seen variations of pass along plates around. If you haven’t heard of a pass along plate before, the idea is to do exactly that … fill it up with goodies and bring it to a gathering at a family or friends. Then that person would do the same, and before you know it the plate will makes it round through your circle and back to you again. I chose to do one personalized for my family. I think it will be fun to watch this plate circulate and have it come back to me time and time again. Make a photo collage in a program like Adobe PowerPoint or Photoshop or even online at a free photo editing and design site like PicMonkey or Canva. Upload it to use on one of Shutterfly’s single image plates. The other item I made is a birthday plate for my children. I always wanted a special plate we can take out just for their birthdays. I created this one the same way as the other. 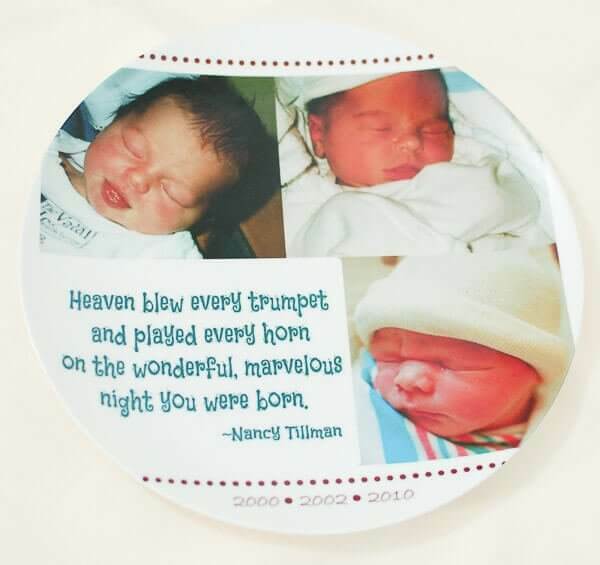 I added a photo of each of my children from the day they were born, included their birth years along the bottom, and picked out a special quote from a book I’ve read each of them over a hundred times, Nancy Tillman’s On the Night You Were Born. I did not find the templates Kara. Can you please send them to me for both plates. Great idea as a gift. Hi Elyse 🙂 I am sorry, I no longer have the templates available but have edited the post to show the steps so readers can make their own to fit their needs. Hope this helps! Kara- What a wonderful and unique way to use these personalized plates! Thank you for sharing and for sharing your template! 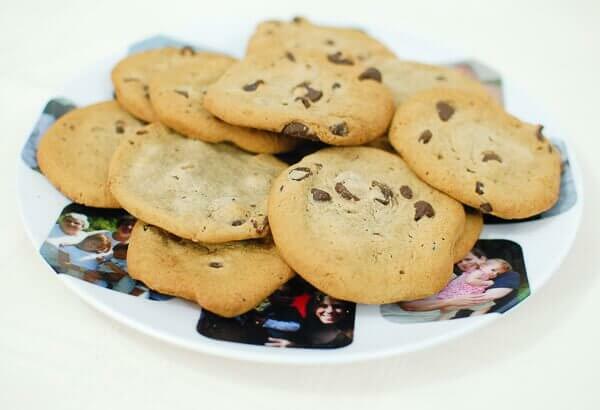 I really love these plates Kara. They both are so special and personal, and the quotes you used are perfect! I especially love the idea of the pass along plate – awesome!